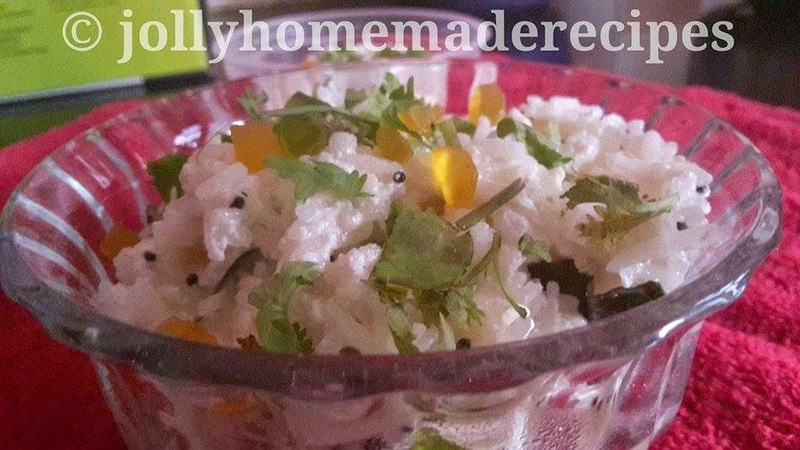 Curd Rice is truly comfort food from South India origin. It is very easy and healthy recipe. It always surprised me how the simple ingredients makes a flavorful meal. 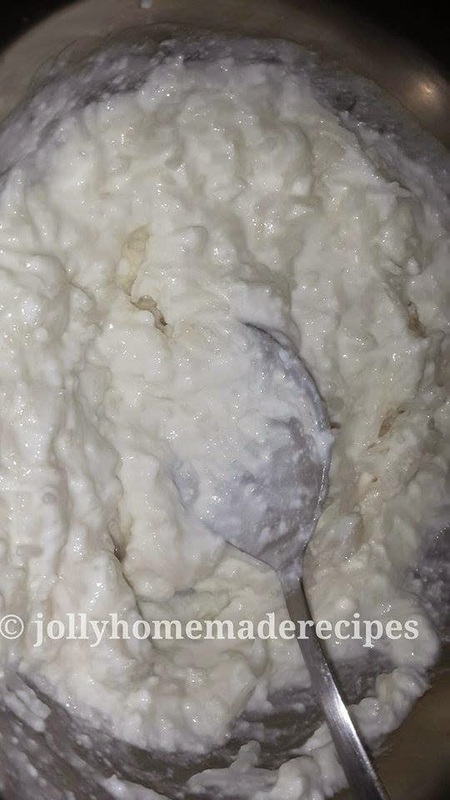 Curd rice is also known as "Yogurt Rice". While it is most easily prepared by simply mixing boiled rice and yogurt, more elaborate methods can be used when needed. You can prepare this with your leftover rice. Curd Rice is an instant recipe even kids will love them. I never had this type of curd rice before my marriage, because in North-India people usually eat curd-rice mixing rice with curd only, not adding tadka in it. But when I tasted this curd rice, I am fan of it. So I just tried making on my own twist and I ended up in a much better way. Let's start to make this easy and quick recipe with simple step-by-step process. 1. Rinse rice twice and boil or pressure cook rice with 2 cups of water. Keep it aside to chill. 2. 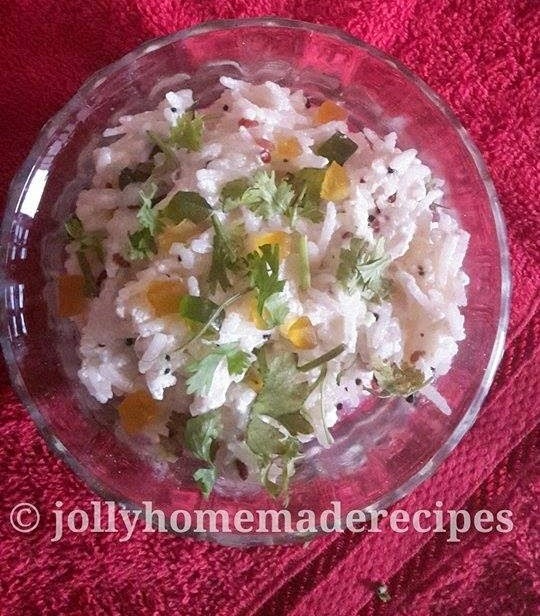 Combine rice along with curd together in a bowl and keep it aside. Sprinkle little milk if you prefer. 3. 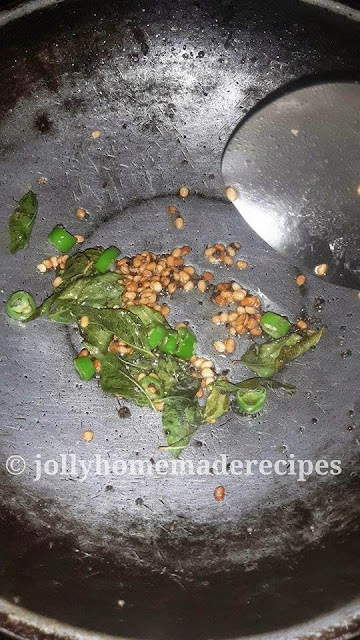 Then heat oil in a kadai , add the mustard seeds, when the seeds crackle, add the urad dal, curry leaves and green chillies and saute on a medium flame for 1 minute, while stirring continuously. 4. Add the tempered/ tadka into the curd rice mixture, add required salt and give a quick stir. 5. Garnish with chopped coriander leaves and I used tutti-frutti. Serve warm or chilled as per as preference. 1. 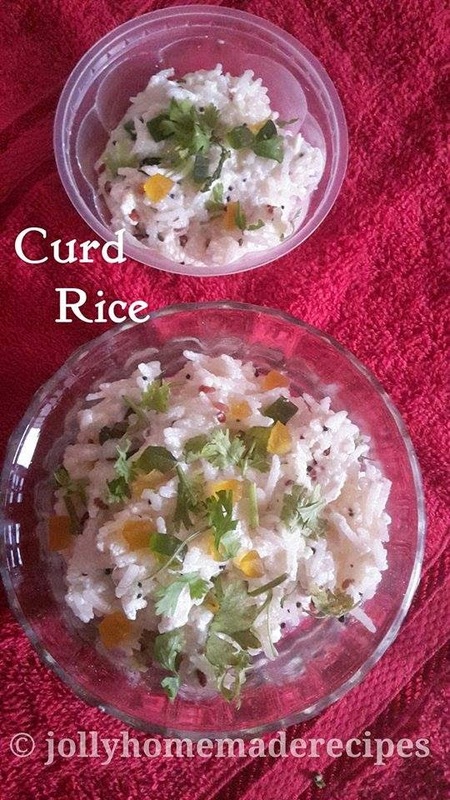 Make sure to cool down the rice before you add curd. 2. 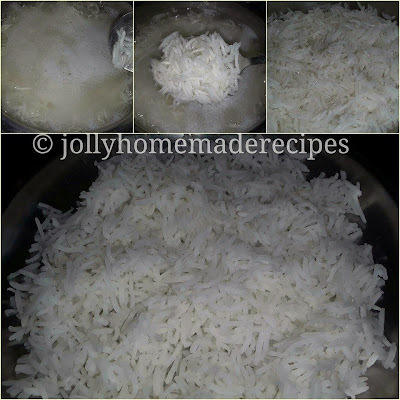 You can mash the rice also before adding curd. 3. you can add seasonal fruits like grapes and pomegranate.